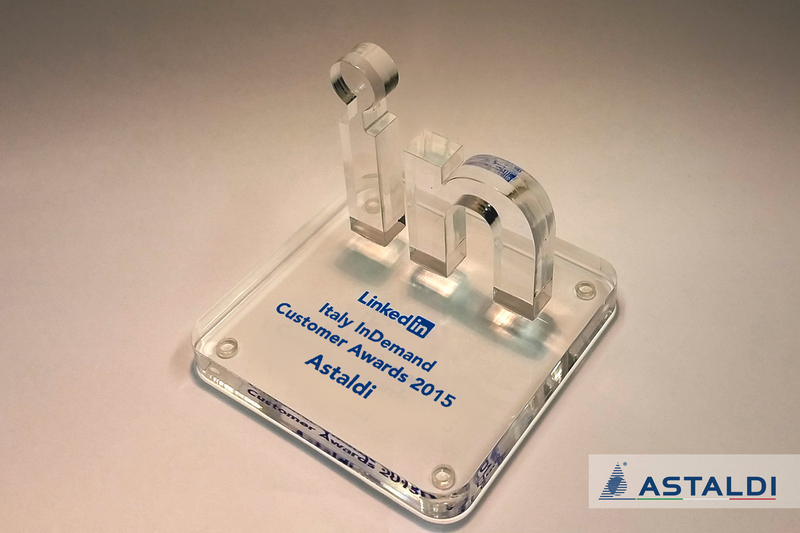 Astaldi has been awarded by the LinkedIn®, “Italy InDemand 2015” campaign as one of the most attractive companies; for some years, LinkedIn®, the world’s largest professional network, has been honouring the Companies most in demand among job-seekers. The campaign covered all the companies operating in Italy (including, among others, Apple, Google, Ferrari, and Coca Cola); Astaldi took 32nd place in the overall rankings and 1st among companies in its own sector. The InDemand rankings measure the actual online behaviour of users and professionals. In particular, for each Company, the rankings measure the interactions of the network’s members belonging to the area in question – in this case, the more than 8 million LinkedIn® users active in Italy, with company pages, employee profiles and published job offers. This award honours the long standing commitment of Astaldi to human resources management, as well as its established corporate reputation, rewarding the Group for its ability to attract and involve our country’s finest talent.